Once labeled a ski model, Caroline Gleich is open and honest about all she has done to become a respected ski mountaineer. "I always had this greater vision for myself, and along the way everyone told me I couldn't do it—I was too small, I wasn't strong enough—but eventually you kind of have to decide what you're capable of and not listen to anyone else," says Gleich, in this episode of the "Sponsored" podcast. Gleich and host Mike Powell also discuss gender biases in snowsports. "There's still so much implicit bias about what a small woman can do," says Gleich. "In snowsports, we still have a really long way to go as far as gender equality. At the end of the day, I think my actions will speak louder than any of my words. I do want validation and would love more recognition about my accomplishments, but at the end of the day, I'd rather just do the thing and let my actions speak for me." 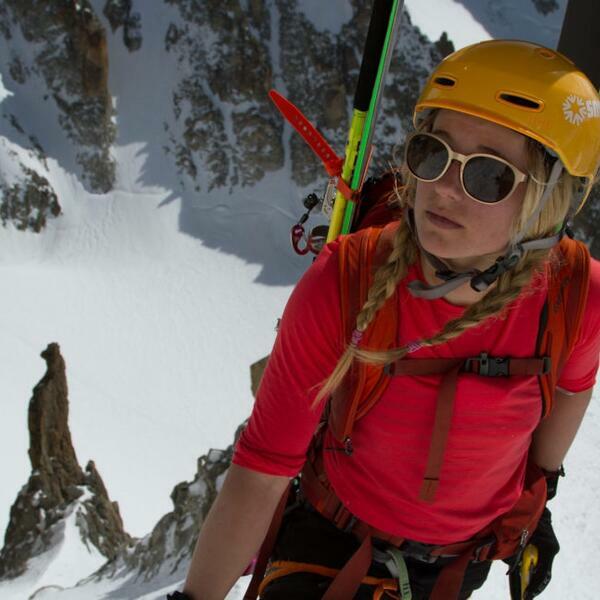 In addition to being a ski mountaineer, Gleich is known for her perpetual high energy. "I'm just so grateful in my adult life to keep my body in motion. Growing up, sitting through school was always really hard for me," says Gleich. "When I'm in the mountains, I'm just so overjoyed to be there. So I think just having the energy and the stoke, it was really helpful to have that burning desire."